View more information on setting up 1stPayPOS iPad POS System hardware at www.1stPayPOS.com. Set up your wireless internet router using 1stPayPOS System Requirements, and PCI Compliance Standards. Wireless router encryption should be set to WPA2. Please consult your wireless router user manual for assistance with adjusting these settings. 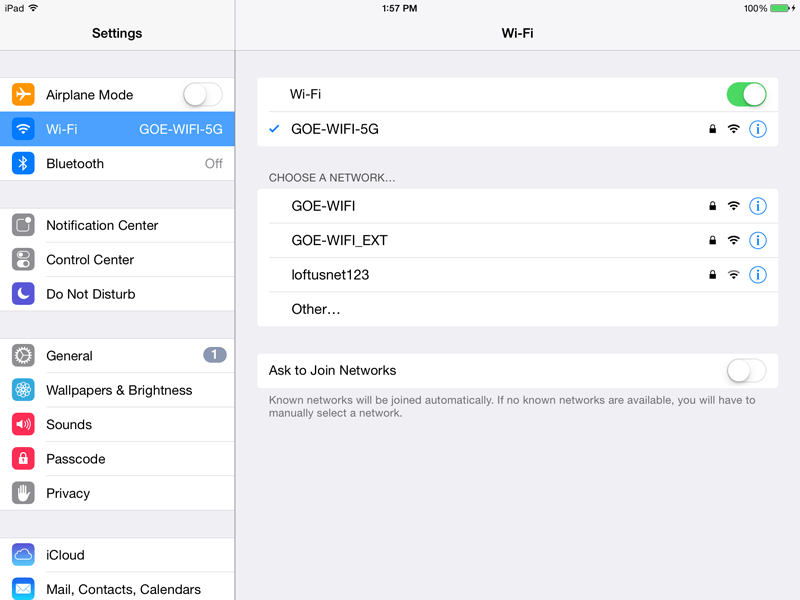 On your iPad®, go to Settings Wi-Fi, and select your Wi-Fi Network from the list that appears. Enter any login credentials necessary. 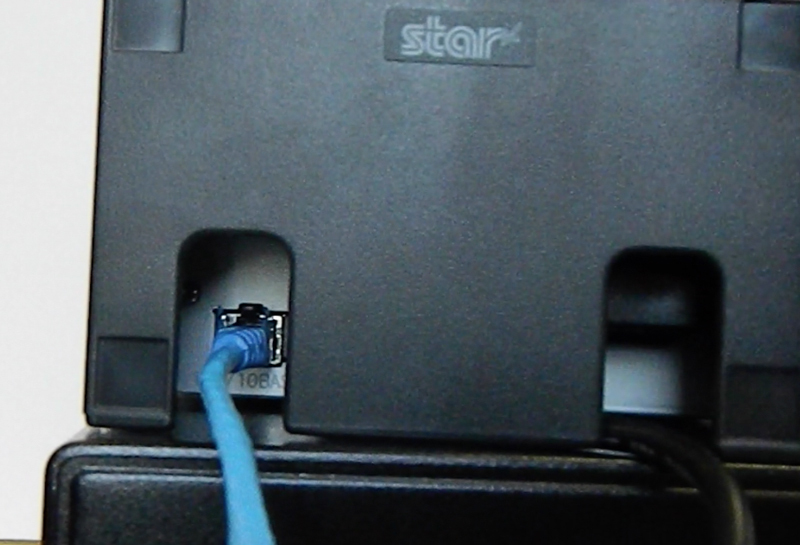 Connect Ethernet cable into the 100/10BASE port on the back of the Star Receipt Printer. 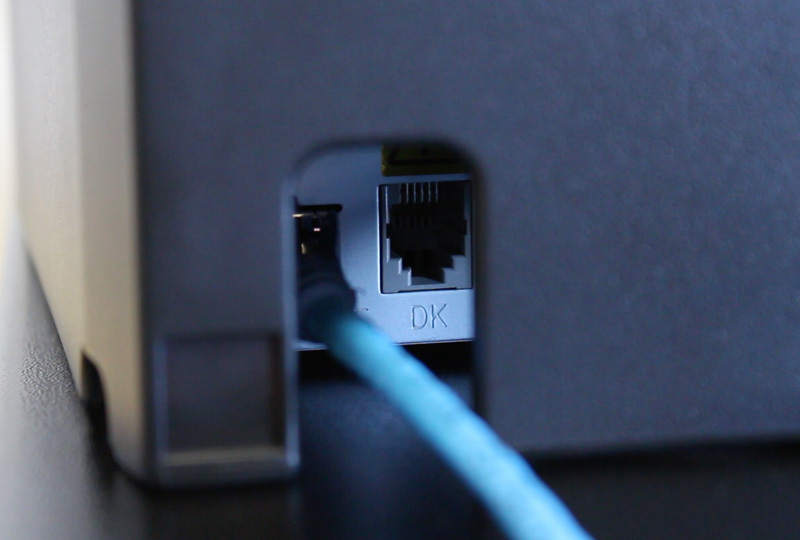 Plug the other end of the Ethernet cable into a LAN port on your wireless router. Then plug the power cord into a grounded AC outlet. When connected, the printer "Ready" light will blink green, then turn solid green. Connect the Cash Drawer cable into the "DK" port on the printer. Open the 1stPayPOS app on your iPad and sign in with your PIN. Tap the left side menu, then tap Settings Printers Star Printer. Tap the printer name after the app locates your printer on the Wi-Fi network. Select the name of your receipt printer. This must be set up in the 1stPayPOS Portal. Read detailed instructions on this here. Tap Save. From the Configuration Screen, you will now see your named printer in the list of Printers. Insert the uDynamo card reader into the audio port of your iPad. In 1stPayPOS, go to Settings Card Readers and tap uDynamo. NOTE: The uDynamo must be charged every 300 swipes. A USB cable is provided to allow charging. Attach the appropriate connector to the iDynamo card reader. Insert the iDynamo into the dock port on your iPad. 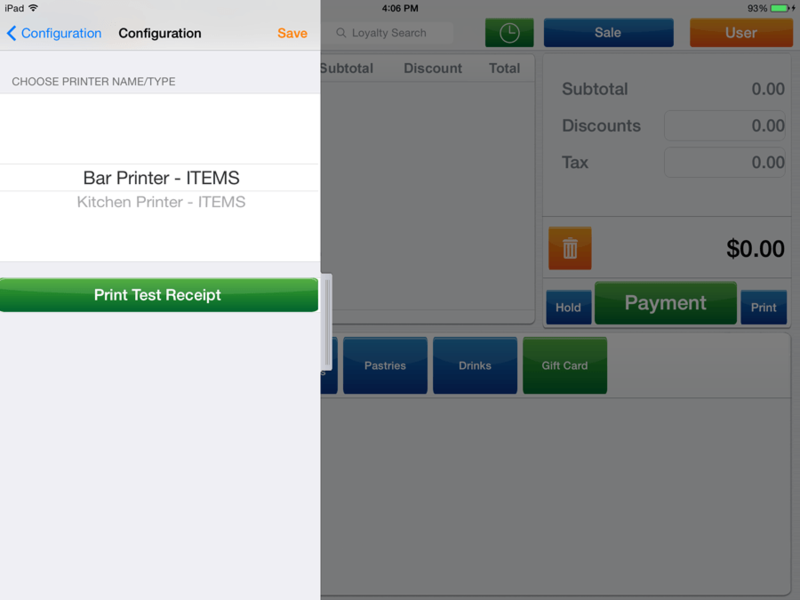 In 1stPayPOS, go to Settings Card Readers and tap iDynamo. 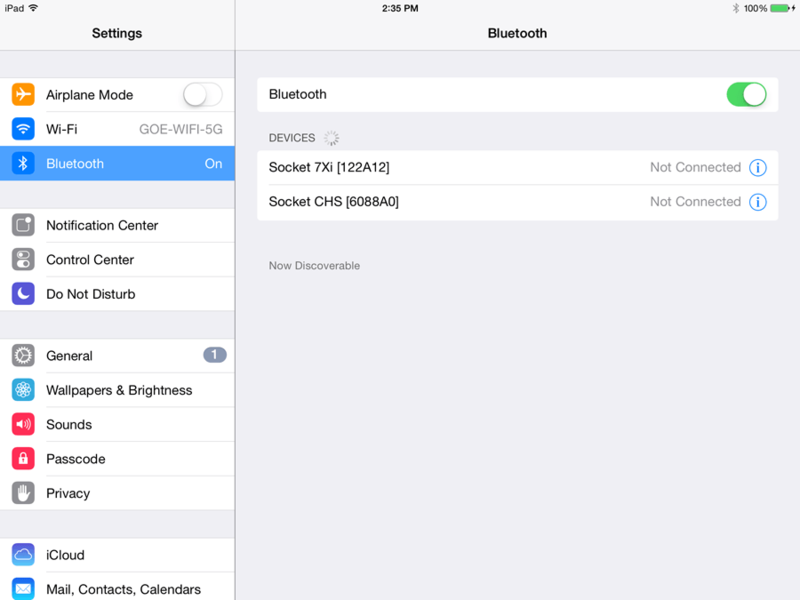 Go to the Settings in your iPad, tap "Bluetooth" on the left side of the screen. Tap the "OFF/ON" switch to change it to "ON". Turn on the scanner by pressing the smaller button on top of the scanner until it beeps twice, low to high. The device should appear on the iPad as "Socket CHS"; select to pair the scanner to the iPad. Refer to your User Manual for detailed instructions.